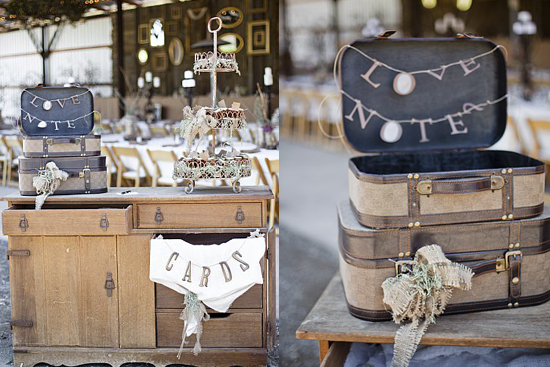 Being in the industry, it's a celebrated event when you have the honor of helping with a fellow vendor's wedding. So, I jumped at the opportunity to participate in a pal's wedding as their coordinator. 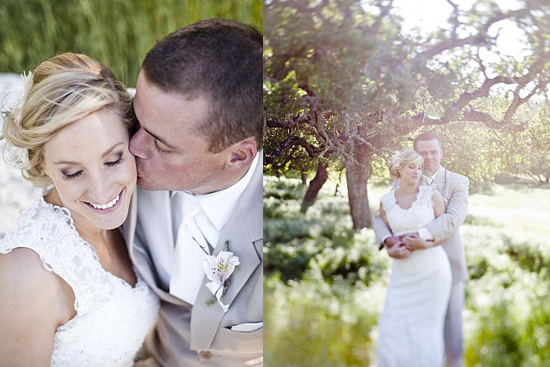 Lindsey (a wedding photographer) and Trevor's love pours out. 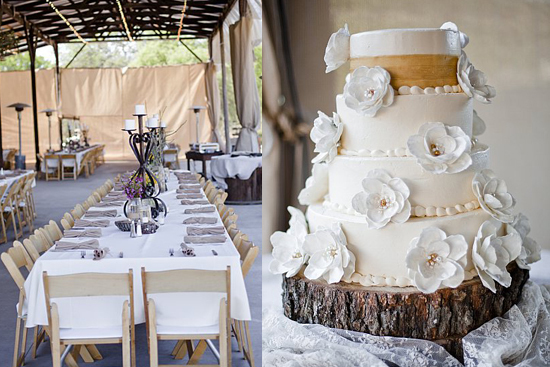 It was only fitting that a beautiful couple have a beautiful wedding. 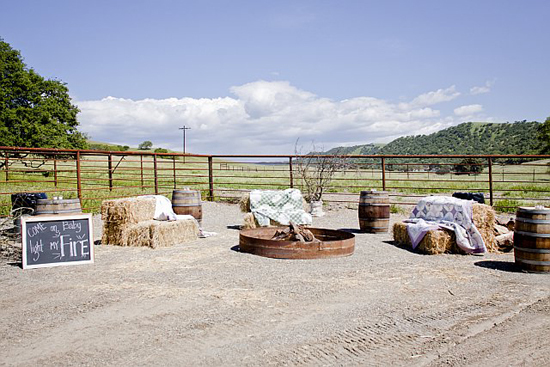 Converting what is normally a hay barn on a family friend's ranch estate, the wedding was set with the knob set high on elegance with touches of vintage and good ole' rustic country charm. 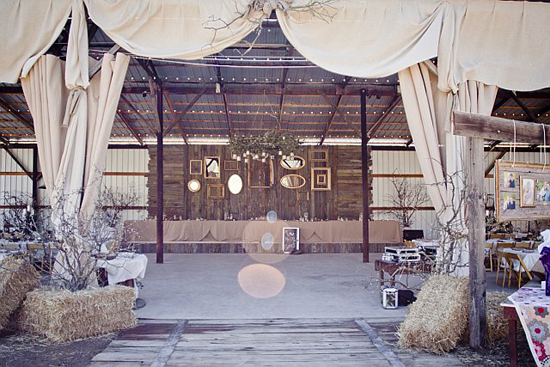 The barn was decked with fabric, which softened the site and made way for the wedding colors of creams, taupes and pops of pink. Hay bales covered with quilts were set-up as makeshift seating next to a fire pit and branches adorned with twinkle lights glimmered in dark. 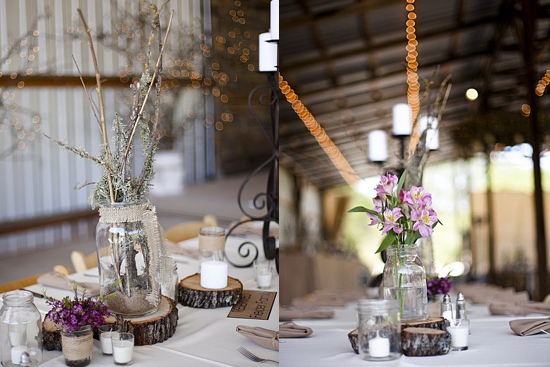 Saving beaucoup bucks on centerpieces; various sizes of mason jars that were collected and tied with twine or burlap were filled with various azaleas, branches and filler flowers. 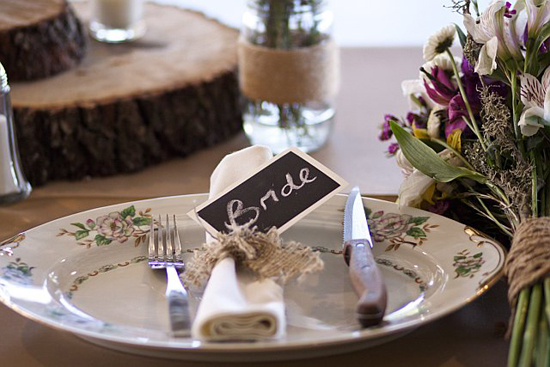 Wooden discs cut by the ranch owners from trees within the property were also placed on the table, alongside candles. 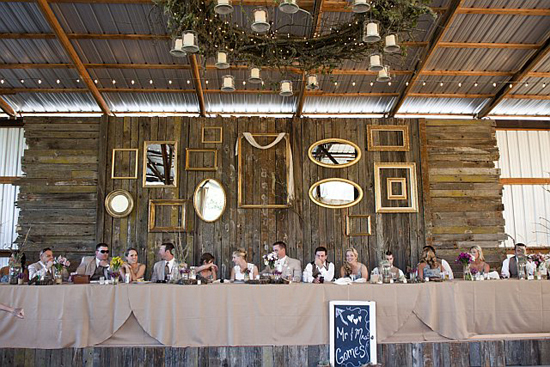 If you're planning a barn wedding, kick up those boots and draw inspiration from the great outdoors!